Outspoken Education Reform Foe Wins La. Governor’s Race, But Will He Spend Political Capital Going After K-12? Voters across Louisiana on Saturday did what was once seen as nearly impossible — put a Democrat in the governor’s office — but the ascension of anti-charter, pro-union state Rep. John Bel Edwards may not be the death knell to education reform that some of his supporters are hoping for. Education reformers in the Bayou State had viewed the prospect of an Edwards victory — he beat Republican U.S. Sen. David Vitter, once seen as an untouchable frontrunner, with 56 percent of the vote Saturday — with trepidation. Edwards had previously attempted to limit charter school autonomy in the state Legislature, has strengthened his ties to the state’s teachers unions, and has been an outspoken critic of the Common Core. But, in recent weeks, sources say Edwards has reached out to reform-friendly Democratic politicians and other state education leaders to allay their concerns about his education agenda. Moreover, as a result of other state runoff elections that took place Saturday, reformers now control seven out of the eight elected seats on the Board of Elementary and Secondary Education, which oversees K-12 education policy in the state. 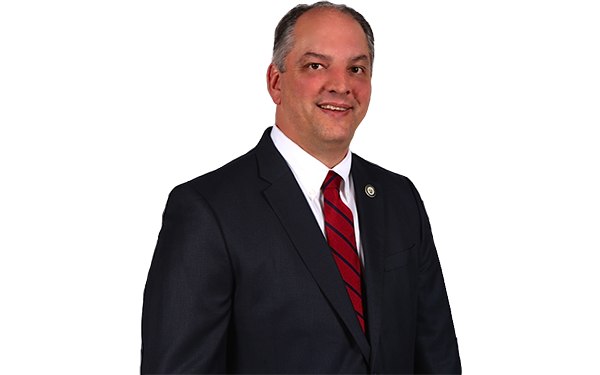 While Governor-elect Edwards will get to appoint three members to the board when he takes office in January, he needs eight votes to replace White and observers say he is unlikely to squander valuable political capital on an early fight he ultimately cannot win. So, for the time being at least, reformers are approaching Edwards’ victory with cautious optimism, while pledging to seek common ground with the new governor. Election results from the 2015 elections for the Board of Elementary and Secondary Education. Pro-reform members in blue; anti-reform members in red. 2015 La. gubernatorial election results. Parishes won by John Bel Edwards are in blue. Parishes won by David Vitter are in red. Lane Grigsby, a Baton Rouge businessman and chairman of a super PAC that was heavily involved in BESE races, told The Advocate that Edwards was elected less for his views on public schools than as a way of punishing his opponent. Just a few months ago, Vitter was considered the odds-on favorite to win the gubernatorial race, as few believed that a Democratic candidate could win in a conservative state like Louisiana. But Edwards, a pro-life, pro-gun, Blue Dog Democrat, deflected attempts by opponents to portray him as an out-of-touch liberal, and instead, made Vitter’s character the central focus of the race. He repeatedly raised the senator’s involvement in a 2007 prostitution scandal and equated Vitter’s leadership style with that of the state’s deeply unpopular governor, Bobby Jindal. For his part, Vitter made matters worse by harshly attacking his Republican rivals in the lead-up to Louisiana’s jungle primary last month, alienating potential supporters in the process. One of those rivals, Lt. Gov. Jay Dardenne, broke ranks with his fellow Republicans to endorse Edwards after the primary, and apparently many GOP voters followed suit on Saturday. Edwards’ win marks the first time a Democrat has been elected to statewide office in Louisiana since 2008.